Located in 16th Arrondissement, Le Metropolitan, a Tribute Portfolio Hotel, Paris is a leisurely stroll from popular sights such as Place du Trocadero and Bois de Boulogne. This 4-star hotel has 48 guestrooms and offers conveniences like a restaurant, an indoor pool, and free in-room WiFi. Enjoy a bite to eat at the hotel's fine-dining restaurant, or relax with a drink at the bar/lounge. Satisfy your hunger from the comfort of your room with 24-hour room service. For your convenience, a continental breakfast is available for a fee. Guests can expect to find free WiFi and 40-inch an LCD TV with satellite channels and pay movies. Beds sport premium bedding and the bathroom offers a hair dryer and designer toiletries. Other standard amenities include a balcony or patio, an iPod dock, and a sofa bed. At Le Metropolitan, a Tribute Portfolio Hotel, Paris, guests have access to an indoor pool, free WiFi in public areas, and spa treatment rooms. Parking is available for EUR 30 per night (EUR 30 per night for valet parking), and there's also limo/town car service. The 24-hour front desk has multilingual staff ready to assist with tours or tickets, dry cleaning/laundry, and luggage storage. Other amenities at this spa hotel include express check-in, express check-out, and free newspapers. The hotel offers a restaurant. A bar/lounge is on site where guests can unwind with a drink. Wireless Internet access is complimentary. This eco-friendly hotel also offers an indoor pool, spa services, and tour/ticket assistance. Concierge services and limo/town car service can be provided. Onsite parking is available (surcharge). 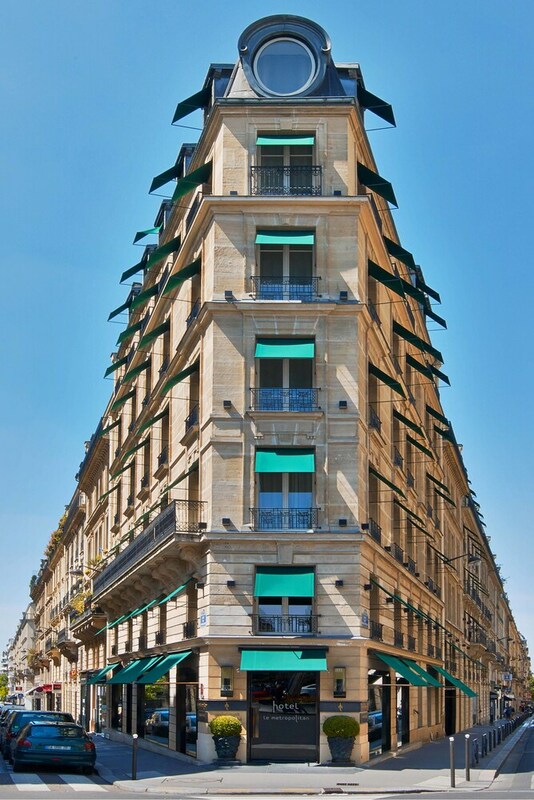 Le Metropolitan, a Tribute Portfolio Hotel, Paris is a smoke-free property. Le Metropolitan, a Tribute Portfolio Hotel, Paris offers 48 air-conditioned accommodations with iPod docking stations and minibars. Rooms open to balconies or patios. Beds feature premium bedding. 40-inch LCD televisions come with satellite channels and pay movies. Bathrooms include shower/tub combinations, bathrobes, slippers, and designer toiletries. Guests can surf the web using the complimentary wireless Internet access. Business-friendly amenities include desks, complimentary newspapers, and laptop-compatible safes. Additionally, rooms include espresso makers and complimentary bottled water. In-room massages and irons/ironing boards can be requested. Housekeeping is provided daily. Metropolitan Restaurant - Onsite restaurant.